"Does he know this woman?" Translation:Czy on zna tę kobietę? Why "te" in this scenario? Why is the sentence "Czy on zna ta kobiete?" not correct? 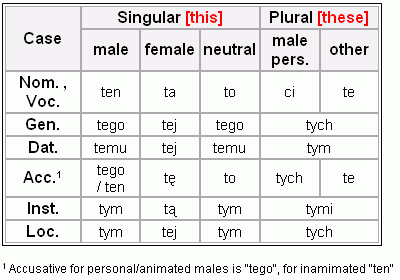 If you know someone, something - the object/person you know should be in Accusative case. And always, when a noun is accompanied by a pronoun (f.ex. 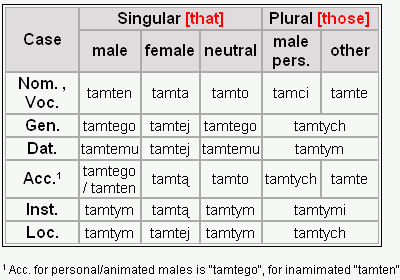 : ten, ta, to, tamten, tamta, tamto - or any other) - the case and gender of pronoun has to match the case and gender of noun. Znam tego mężczyznę (masc., animated) - I know that man. Znam te domy (masc. inanimate, plural) - I know these houses. Znam te dzieci (not masc, animate, plural) - I know these children. it depends which "ta" you mean. (you seem to not have Polish letters). ta declines, in this sentence you need accusative after "zna", so it is "tę kobietę"
If you have Polish friends or relatives, you may have heard "tą kobietę", it is common mistake that in new dictionaries is stated as "acceptable in informal speech"
I am so lost. I was getting it and everyjthing clicked and now nothing clicks on which forms to use and when. I think the more i read comments the more i get confused because i dont really understand accusative, genitive etc terms. Like if someone says "well its accusative so you use x" means nothing to me.